Michael Coates, the U. S. General Distributor for Pipistrel Aircraft, sent the following missive from Ivo Boscarol, General Manager and Founder of the Slovenian company, now in its 26th year. “It is my pleasure to inform you that our friend Hugues Duval after reading the information that Pipistrel was blocked in flying across the English Channel today became the first electric aircraft to cross the English Channel in his CRI-CRI E-Cristaline Electric aircraft. “As Duval already had the permanent permit to fly his aircraft there was no need to ask for a permit to fly over the English Channel, but only to fill the flight plan. It was possible to keep the flight information secret up to the end. 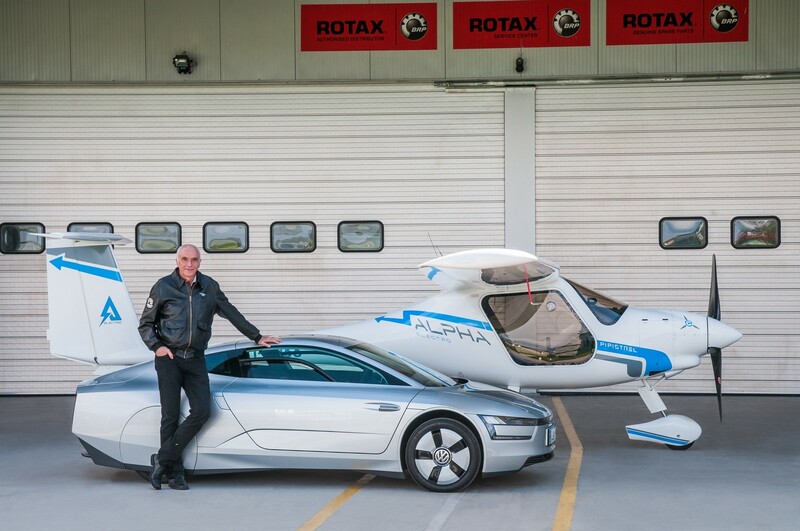 “Hugues Duval is former world electric aircraft speed record holder. “We congratulate Hugues for his achievement and wish him a great celebration tomorrow! Duval’s action followed the news that Pipistrel had been forbidden to fly across the Channel, which it planned to accomplish both ways, crossing over to Britain, recharging, and returning to France. A letter from Siemens, the manufacturer of the motor in the Alpha Electro trainer that was to make the flight, requested that Pipistrel not make the flight and that it return the motor to Siemens. Long-term consequences of this remain to be seen, but Airbus will make a cross-channel flight tomorrow in commemoration of Louis Bleriot’s flight in 1910. Their e-Fan will reverse the original flight, crossing from England to France. The Cri-Cri flown today by Duval is powered by two Electravia 35-horsepower motors, no longer produced by that company. Coincidentally, the Cri-Cri is a design by Michel Colomban, one of the designers of the Concorde. Just for historical reference, Gerard Thevenot crossed the channel in 2009 in a La Mouette hang glider powered by an Eck-Geiger motor charged by fuel cells.